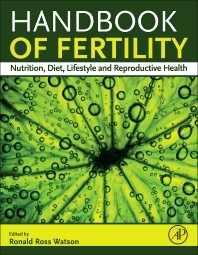 Handbook of Fertility: Nutrition, Diet, Lifestyle and Reproductive Health focuses on the ways in which food, dietary supplements, and toxic agents, including alcohol and nicotine affect the reproductive health of both women and men. Researchers in nutrition, diet, epidemiology, and endocrinology will find this comprehensive resource invaluable in their long-term goal of understanding and improving reproductive health. This book brings together a broad range of experts researching the different aspects of foods and dietary supplements that promote or detract from reproductive health. Section One contains several overview chapters on fertility, how it is assessed, and how it can be affected by different metabolic states, nutritional habits, dietary supplements, the action of antioxidants, and lifestyle choices. Sections Two and Three consider how male and female fertility are affected by obesity, metabolic syndrome, hormonal imbalance, and even bariatric surgery. Section Four explores the ways diet, nutrition, and lifestyle support or retard the success of in vitro fertilization, while Section Five explores how alcohol and other drugs of abuse lower fertility in both women and men.